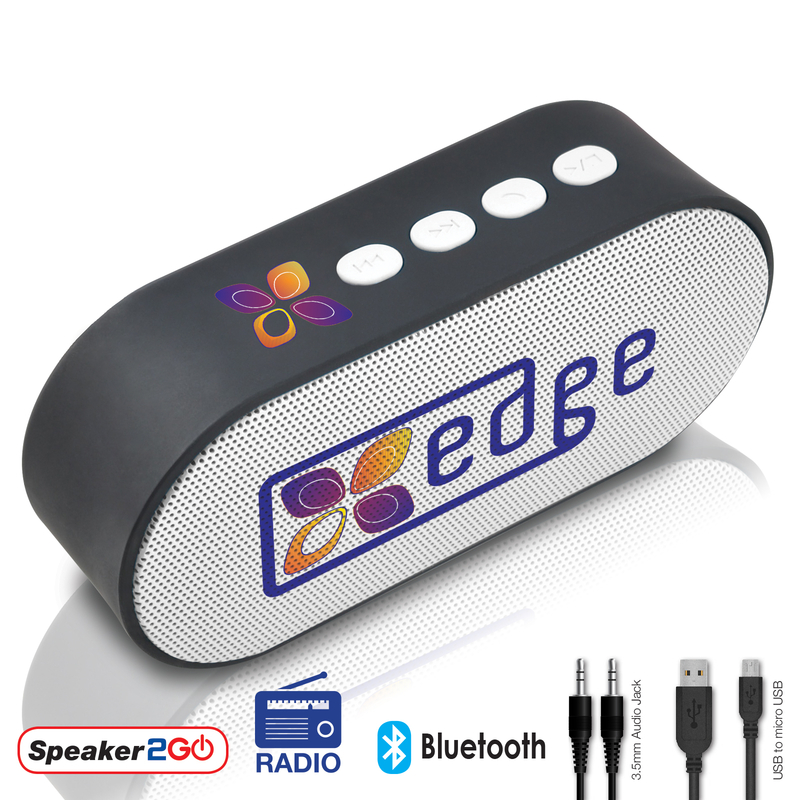 Soft touch finish Bluetooth / cable connect speaker with FM Radio and hands free function. Wireless connection to your smartphone, tablet or Blueooth device with the option to plug in included 3.5 audio jack into the speaker. Easy charging with included USB cable. Enjoy music up to 6 hours and wirelessly up to 10 metres. User guide included. Features Micro SD card reader (4GB available at extra cost). Optional box decoration or EVA black zippered pouch available at additional cost.